Emily Gregoire doesn’t call Baton Rouge home, even though she works there as an accountant at the LSU Foundation. Her husband, meanwhile, is an operator at a chemical plant in Donaldsonville, but they don’t live in the ever-growing Ascension Parish either. 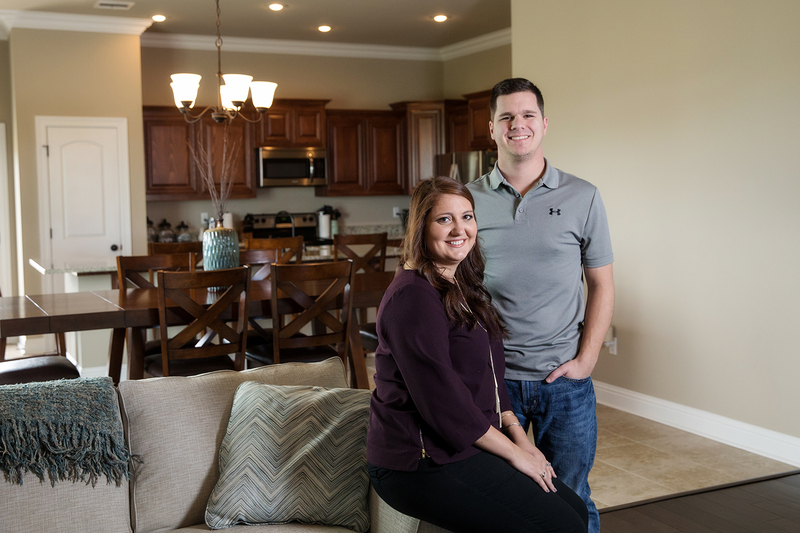 Instead, they’ve settled along the southern edge of West Baton Rouge Parish—and have grown quite fond of it. In Addis, they’ve found a middle ground. Her husband, Blake, drives 30 miles south to work with minimal traffic, while Emily travels 10 miles to LSU, across the heavily-trafficked Mississippi River Bridge. The good news: She can depart Interstate 10 at the first exit off the bridge, avoiding the dreaded I-10/I-110 merger. For those who work at LSU or downtown, West Baton Rouge is the nearest community outside the Capital City. In 2016, the 27-year-old couple moved into the Sugar Mill Plantation subdivision in Addis, an affordable area that’s attracting young families, and Gregoire says she could imagine starting her own family there one day. 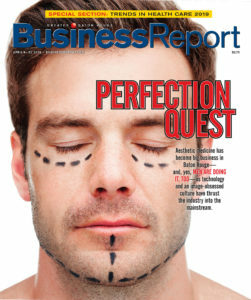 Although West Baton Rouge remains relatively small and rural, it has two appealing qualities: A good school system, earning a B grade in academic performance scores, and good jobs, thanks to large industrial companies on the westside like Shintech, Dow Chemical and Petrin Corp.
On the downside, though, West Baton Rouge’s most glaring quality is its traffic. Gregoire must strategically plan her morning commute. She leaves at 8:10 a.m. when rush hour dies down and can sometimes get to work in 20 minutes. But with traffic, she can expect a delay anywhere between five to 45 minutes. If they travel to Baton Rouge in the late afternoon on a weekday, the wait is nearly an hour and a half. But as the westside continues to grow and gradually attract more development, its residents are finding fewer reasons to cross the river. And the traffic that spills into West Baton Rouge, however bad it may get, has yet to deter people from moving there, especially in popular areas like Sugar Mill, which is constantly expanding. “I don’t think it’s stopped growing since we moved in two years ago,” Gregoire says. West Baton Rouge was the state’s sixth fastest-growing parish from 2014 to 2016, with 2.56% population increase, according to the Census Bureau and Nola.com, though still trailing the growth in Baton Rouge’s other suburban parishes—Ascension and Livingston, the state’s top-growing parishes, respectively. Growth in outlying parishes is due, in large part, to the exodus from Baton Rouge. 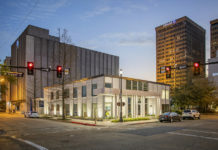 While most flock to Ascension and Livingston, West Baton Rouge is gaining residents as well, especially as a number of offices and jobs have moved to the revitalized downtown area, right across the river. Sure signs of growth are the new and upcoming developments scattered throughout the westside. Addis will see a mixed-use residential project break ground this year, along with a 300-home expansion in Sugar Mill, and at least two large-scale developments are on the drawing board in Port Allen, parish leaders say. In Iberville Parish, just south of West Baton Rouge, Level Homes has added 73 homesites to The Island Country Club, called Cypress Landing, in Plaquemine. 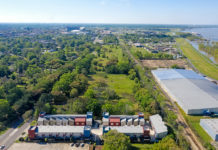 Bearing Point Properties of Baton Rouge has plans to build a mixed-use development in Addis, near Sugar Mill, called Sweet Water Point, which will include 43 single-family homes and a multi-family complex with 160 units in phase one. The developers also plan to add a retail component to the project. 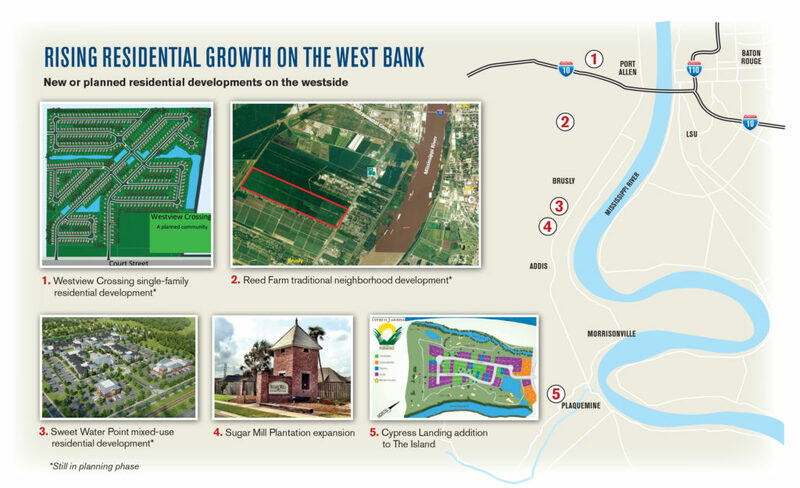 A new development in Port Allen called Westview Crossing may be coming to Court Street, with 65 new homes in the first phase and up to 500 in the future, says Parish President Riley “Pee Wee” Berthelot. Although the parish council rejected a rezoning request for the project, Berthelot says plans are still on the table. In addition, other developers are planning to turn undeveloped land along La. 1 South, known as Reed Farm, into a traditional neighborhood development, which will start with 350 homes and include retail. 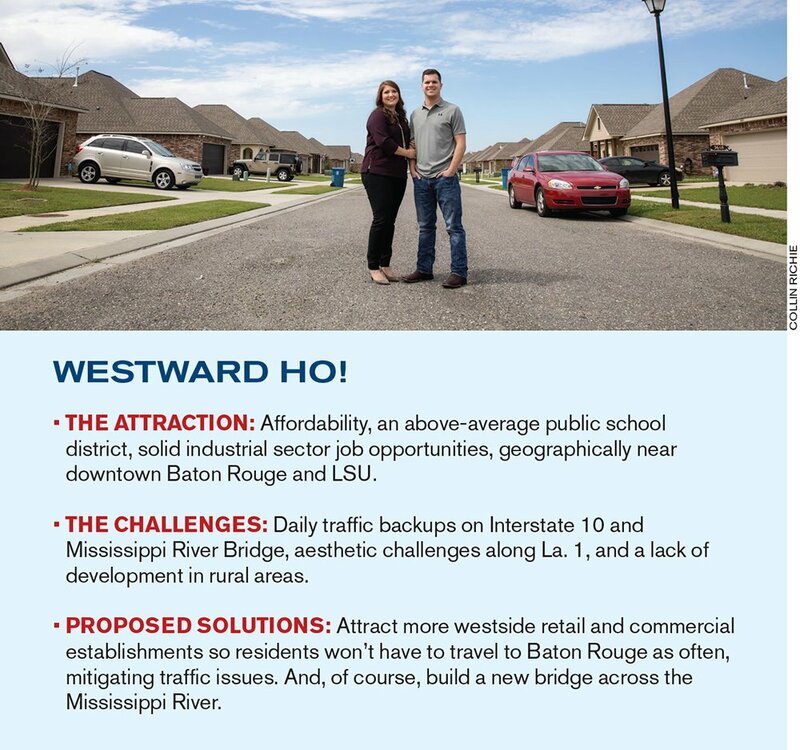 Parish officials like Berthelot preach the need for more commercial development to improve quality of life and traffic by giving residents dining and shopping options on the westside. That goal is slowly becoming a reality as more retail centers pop up in West Baton Rouge. Bultra Properties of Plaquemine recently broke ground on phase two of its shopping center in Brusly and signed a franchise agreement to bring Walk-On’s to Brusly this year. Chris Reeves, a partner in Bultra Properties, is confident in the number of residents and pass-through traffic on the westside to sustain their developments.